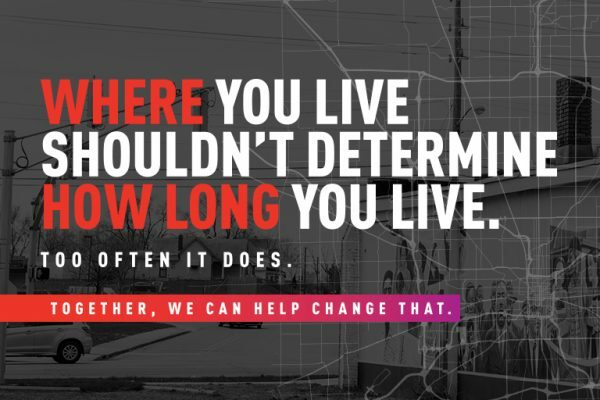 Eli Lilly and Company and Indiana University Richard M. Fairbanks School of Public Health – Indianapolis announced the launch of a new neighborhood-based, data-driven pilot in Indianapolis to help address the high incidence of diabetes. Building on similar efforts Lilly has developed in lower-income communities in Mexico, India and South Africa, the $7 million, five-year program will focus on three Indianapolis neighborhoods with significant health disparities and high rates of diabetes: the Coalition of Northeast Neighborhoods, Northwest Neighborhood and Near Westside Neighborhood. This pilot will target people with diabetes or at risk for the disease in these three communities, which were selected based on high prevalence of diabetes, socio-economic factors and highly engaged community members and organizations. Globally, 425 million people have diabetes, with a prevalence rate of 8.4 percent. In the three target neighborhoods in Indianapolis, an estimated 10,000 people live with diabetes, and prevalence rates are as high as 17.5 percent. Lilly and the Fairbanks School of Public Health are implementing the pilot with Eskenazi Health, Local Initiatives Support Corporation Indianapolis (LISC) and the Marion County Public Health Department. Borrowing from Lilly’s global health efforts, the pilot will deploy a model that uses newly hired community health care workers to help identify people with diabetes and connect them with quality care. In addition, community members will help identify and propose solutions for cultural, social, environmental, economic and policy barriers that increase the risk for diabetes, such as the lack of healthy food options and public spaces for exercise. Lilly and its partners are testing the hypothesis that the implementation of a multi-pronged community health worker model will reduce complications for those with diabetes and reduce risk factors for people at high risk of developing diabetes by increasing screening-seeking behavior for those at high risk, improving access and continuity of care for people with diabetes, and fostering a physical and social environment that supports diabetes control and prevention, such as better access to healthy food and exercise options. The pilot uses Lilly’s global health framework, which includes studying key research questions, reporting what works and what doesn’t, and then using the data to advocate for the scale up of the most effective solutions. The program will contribute to Lilly 30×30, the company’s goal to create new access to quality health care for 30 million people in underserved communities every year by 2030. May 9, 2018 "CUNY Doctoral Student Co-authors Operational Framework for World Bank’s One Health initiative" May 9, 2018 "Florida Faculty Members Win National PT Honors"